Shey has been on quite a journey, from Russian ballet, to contemporary dance in the UK, to Les Mills Trainer and Presenter. Tell us about your career so far. How did you get into fitness? I was always a very active child. I chose dance as a path from the age of 5-19. I was trained in Russian ballet in my home town of Sarajevo (Bosnia). I received a scholarship to the Bolshoi Ballet School at the age of 10, but couldn’t take it up as we emigrated to the UK due to Mum’s work. I came to England and attended the Royal Academy of Dance. In my teens my body changed shape (I developed muscles :)) so I couldn't continue with ballet. I moved into contemporary dance and studied at Laban. Unfortunately, my parents ran out of funds and I couldn’t afford to carry on studying. My world fell apart and I couldn't even watch dance on TV. 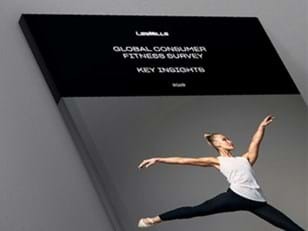 So how did you find Les Mills from there? I worked as a receptionist in a gym in between my acting jobs, and the Group Exercise Coordinator offered me a host space on a BODYJAM module because she knew I’d danced! I’d never taught a class before in my life, but I though why not? I have a free weekend! It was the first time that I’d danced since having to leave my dance school. That’s when BODYJAM saved my life! 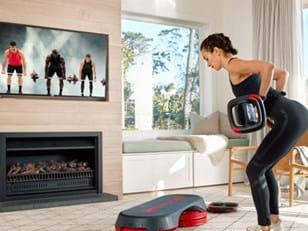 LES MILLS gave me an opportunity to go back to what I loved and was meant to do with my life. If you weren’t a fitness Instructor, you would be…. Definitely an actress. I was working as an actress at the time I began my journey as a fitness Instructor. Instead of working as a waitress, I taught classes. I could live on potatoes! What’s your ideal day off? Sunbathing, scuba diving, eating Nutella off the spoon! I didn’t think I was good enough, but it took 3 different Les Mills trainers, on 3 different occasions to approach and ask me to apply for Bootcamp. It convinced me that perhaps I had potential. Without them I wouldn’t be doing what I’m doing. Sometimes you have to trust in others to discover what you can’t see in yourself. So for me it’s not the bright lights of now that is the highlight, it’s how it all began. 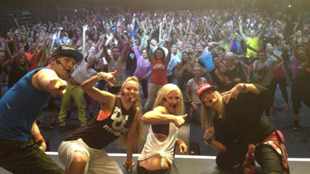 Tell us how you became a les mills Instructor HERE. If you want to hear more from She follow her on Instagram @sheyls. Discover how routine helps keep Lissa Bankston focused and productive.